Business Plan Writing and drafting is an essential part of any business venture. Most Fortune 500 companies not only have a business plan, but some have a business plan room. The detail concerning business plans that most clients do not know is that they are ever changing. The second you write a business plan or proposal it is almost obsolete, unless you are not actively working on your business model. 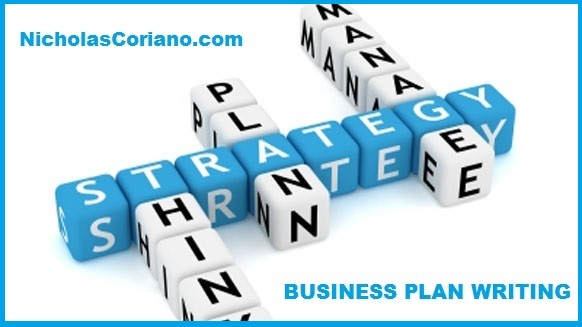 Managing the strategy of a business venture is easy when you have a plan. Before you begin the daunting task of writing a full blown business plan, one should consider a SWOT Analysis. SWOT can help you handle both the ordinary and unusual situations in your venture, idea, or business by giving you a tool to explore both internal and external factors that may influence your work. This Analysis can be and normally is included in a full business plan. If you know what industry you will enter, or are already in business either online or via a Brick & Mortar operation, and do NOT have a business plan; you need one. A business plan does not only attract investments or capital, but will show employees, partners, and executives how to proceed in business in a fashion to maximize revenue and output. To find out "What Nick needs to know?" before he can write your business plan, follow the link for "What information do my clients need to provide for me to write and develop a Business Plan?" Other services offered by Nicholas Coriano include Business Modeling, Financial Projections (most often included in Business Plans), Investor Pitch Decks, Investor Relations Services, Website Design and more. Call or Email today!